Compatible with all EDS and Maxim1-Wire bus masters. The EDS 1-Wire Temperature / Barometeric Pressure Sensor, OW-ENV-TP, offers an innovative way to easily monitor and control temperature and barometric pressure in indoor environments. 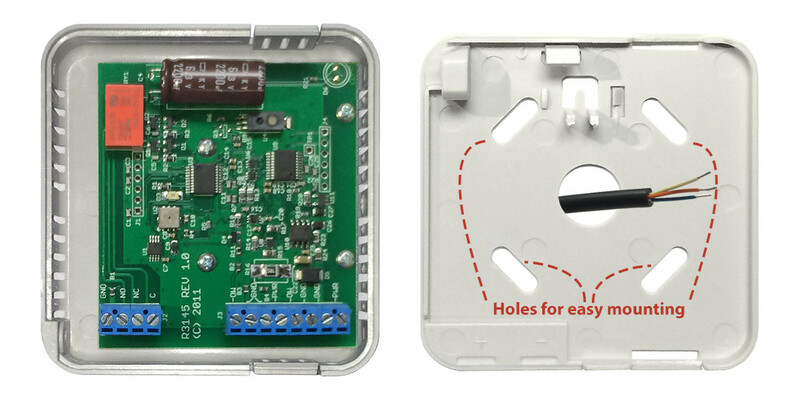 The wall mount sensor features both a high accuracy barometric pressure sensor and temperature sensor, as well as an LED, conditional search support, and a pass-through 1-Wire connection. Together these features offer an efficient and flexible system for monitoring the temperature and barometric pressure levels at one or more locations within a building. The 1-Wire Barometric Pressure Sensor along with our 1-Wire Environmental Sensors were specifically designed for easy communications. Any general purpose 1-Wire host adapter* should be capable of reading data from the sensor. 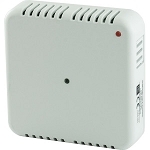 The LED and optional relay response times are extremely fast; the sensors are able to respond appropriately (activate fan/alarm siren/etc) even before the monitoring application is aware an alarm has been triggered. 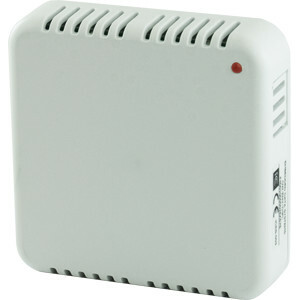 Since, the EDS Temperature / Barometric Pressure Sensor's alarm functions can operate independently of the 1-Wire host adapter the sensor can be used as a standalone Thermostat or Pressurestat.